Just like most streaming services, Apple Music adds a DRM (Digital Rights Management) layer to its streaming music collection. This locks you into a single ecosystem guarantees you'll keep paying their monthly subscription fees and hopefully buy into the rest of their ecosystem. Once you cancel Apple Music subscription, you'll be unable to listen to the song you've already downloaded. What's the Best Apple Music DRM Removal? But how do you take all your beloved Apple Music off DRM protection? 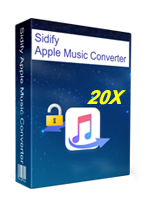 Sidify Apple Music Converter as one of the best DRM Audio Removals designed to convert all your music from iTunes to different formats. This application supports and converts various formats like DRM-ed M4P, AAC, M4A, M4B, Audible AA and AAX etc. It simplifies the process of audio conversion with its intuitive user interface. Besides, it guarantees you the best output sound quality as it uses the latest versions of audio codecs. This piece of software is embedded with almost all the required features that you will look forward to in a high quality audio converter. What's more, it can also remain all ID3 tags and metadata. 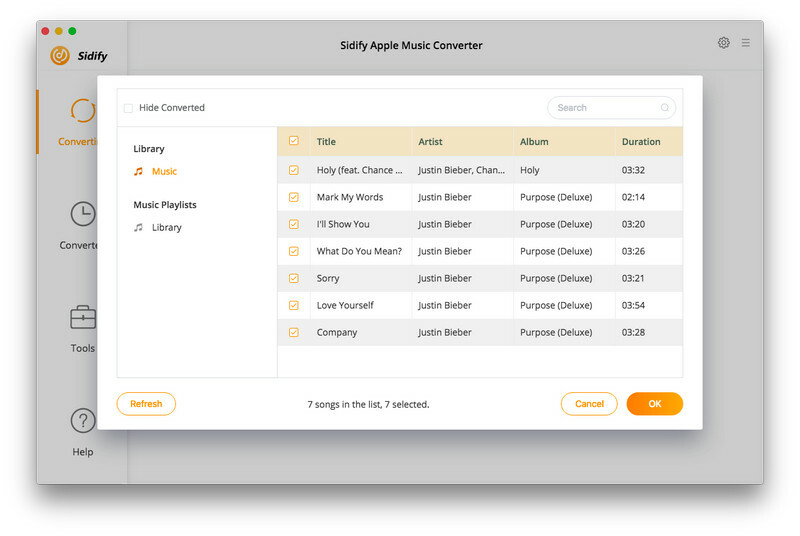 Launch Sidify Apple Music Converter. Then click " + " button to select Apple Music tracks for converting. Clicking either the menu bar "Sidify Apple Music Converter > Preferences" or just tapping purple setting button at the upper right of Sidify, you can choose MP3, AAC, FLAC or WAV as output format. Tips: Here you can also set the converting speed up to 20X and adjust the output quality up to 320 Kbps. Besides, the output path is also available to be changed as you need. Click “Convert” to start converting. After conversion done, you can click to find the well-converted Apple Music files. 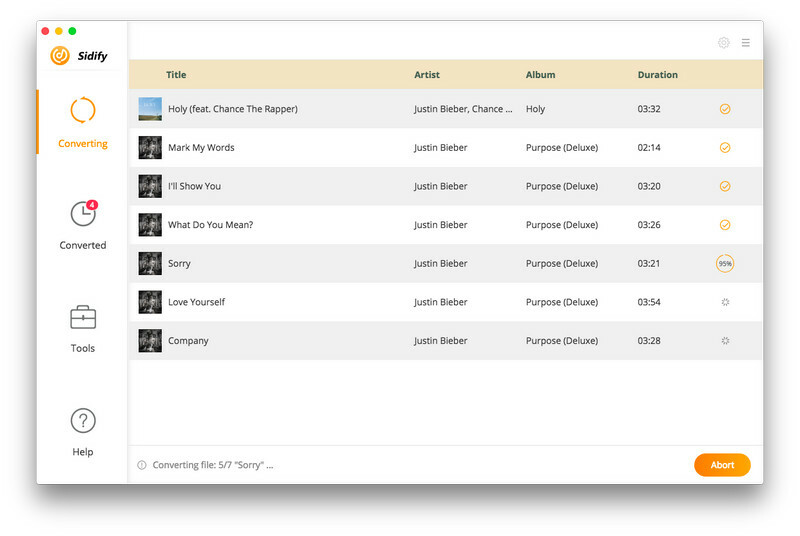 Now, you can transfer all of the well-converted Apple Music files to any digital music player for streaming. 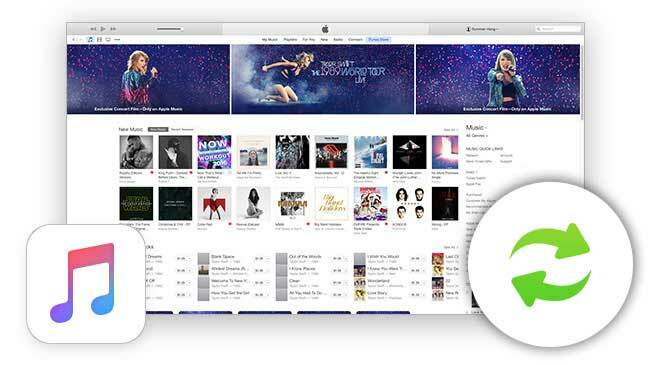 Tutorial: How to Convert Apple Music Tracks to MP3 on Windows? Note: The free trial version of Sidify Apple Music converter only allows you to convert three minutes for each file. If you want to unlock the time restriction, you can get full version of Sidify with $39.95.